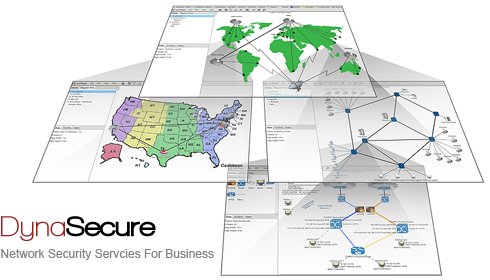 We provide real-time, 24/7 monitoring and protection for your network. DynaSecure utilizes fully managed network based firewalls that are capable of providing network security protection for large or complex deployments. Whether you know it or not, the security of your enterprise network and web applications is being tested daily. Because they are globally-facing, enterprise network and web application attacks represent the greatest risk to an organization. Unfortunately they are also the most overlooked, with the majority of enterprise data security budgets dedicated to securing and monitoring the perimeter and endpoints. Criminals know this, and have found it far easier to simply sneak in through network and application vulnerabilities. DynaSecure - enterprise network security engineering and support from WAN Dynamics - enables us to help you catch and fix vulnerabilities in your network infrastructure and applications. Operational simplicity and reporting accuracy will give you the certainty you need to act decisively, cutting through the noise regarding network security and getting to the basics. Regardless of how or why your network might be compromised, attackers are looking for vulnerabilities, and our team of network security experts are here to make sure they don't gain unauthorized access.